Synopsis:Odaenathus declares himself King of Kings, twice besieges the Sasanid capital, and combats Gothic pirates on the Black Sea coast.At the height of his power he’s betrayed and murdered, and Palmyrene power passes to Queen Zenobia. Synopsis:Odaenathus helps drive the Persians from Syria and preserve Gallienus’ throne.After his peace offering is spurned by Shapur, Odaenathus prepares to invade the Sasanid Empire. Synopsis:After his humiliating defeat at the hands of Shapur, Valerian joins tens of thousands of Roman captives deported to the heartland of Persia. After listening to Episode B43, astute listener Jacob asked (on the TAW Facebook page): "So with the death of Samsigeramus is that technically the end of the Bloodline as far as we can prove? "My answer is a reluctant but unqualified “yes.”Samsigeramus, like Severus Alexander, may well have been a tenth generation descendant of Cleopatra and Mark Antony - though it’s worth noting that the generations (and exact connections) between Gaius Julius Alexio and Julius Bassianus are pretty sparsely documented.In the Bloodline series I’ve proposed what I think is a reasonable reconstruction to span the requisite gaps. 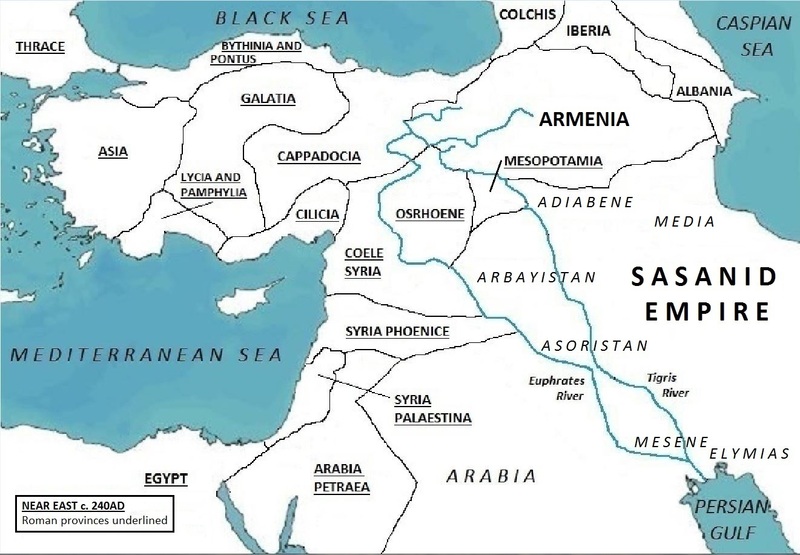 Synopsis:Samsigeramus saves Emesa from Sasanid destruction, then proclaims himself Augustus.The arrival of Valerian marks the end of his reign and the elevation of Odaenathus to provincial governor. Synopsis:After the death of Elagabalus, Uranius Antoninus served as High Priest of Elah Gabal in Emesa.From this vantage, he witnessed the birth of Ardeshir’s Persia and the changing fortunes of the Palmyrenes.